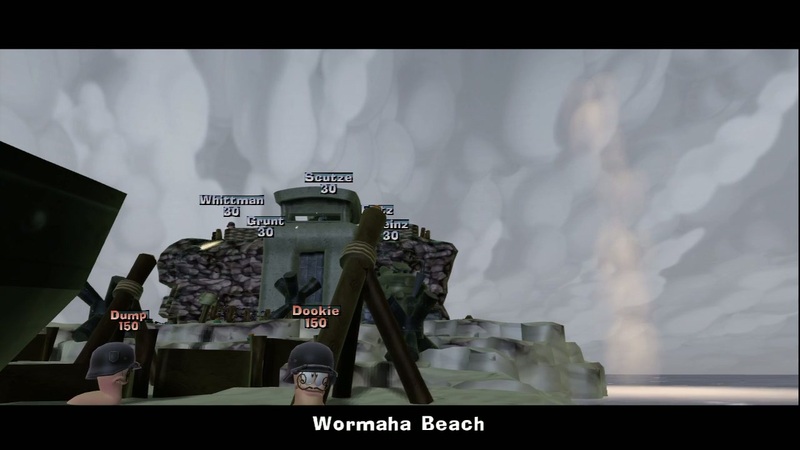 Worms is a franchise that just about everyone has experienced in some form or another. Perhaps you were a fan of the first few games? Maybe you were introduced through the many derivatives, or perhaps you even got hooked via Scorched Earth. The point is, the core game is enormously popular in its 2D incarnation. 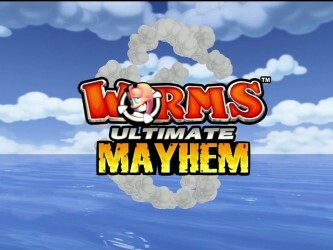 Worms Ultimate Mayhem is the latest attempt by Team 17 to capture that same fun while adding a third dimension. A worm? With an AFRO!? FINALLY!!! 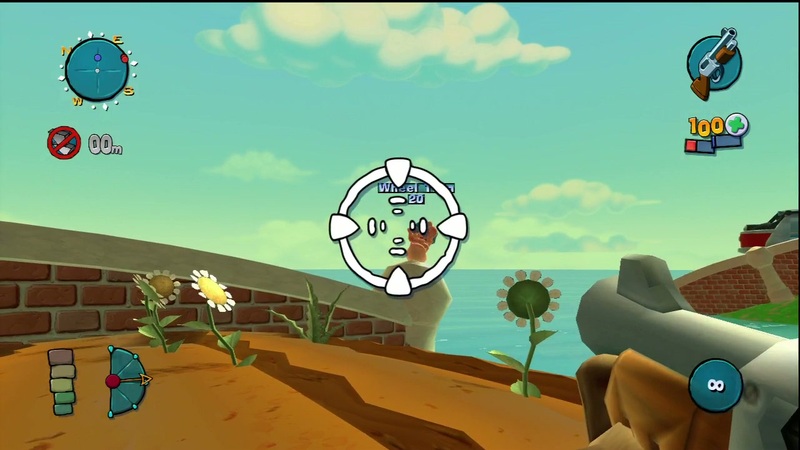 By the very nature of the Worms games, visuals are split into two very different areas; the terrain and the characters. 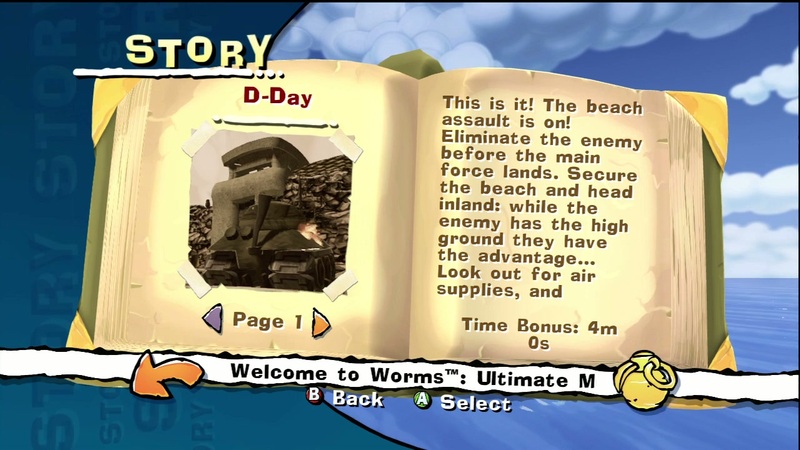 Usually a game’s terrain and characters are equally important, but in a game where practically every attack takes a bite of the world with it, the environment has a way of sliding to a distant second. 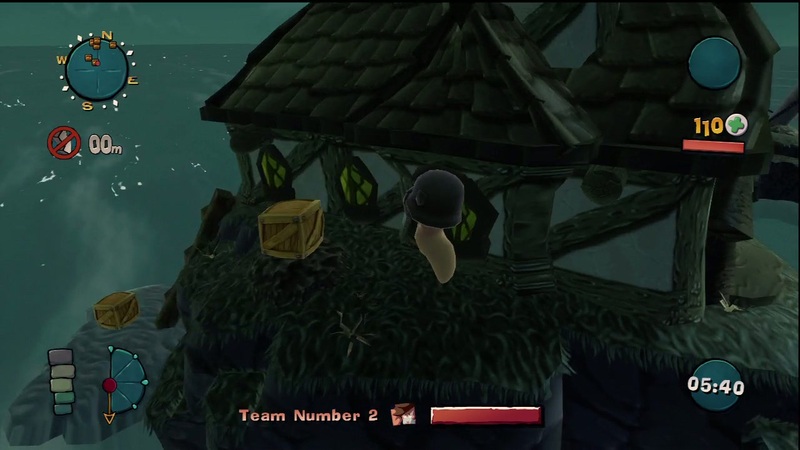 As a result, appearance of the level is unique, and quite different from the characters. 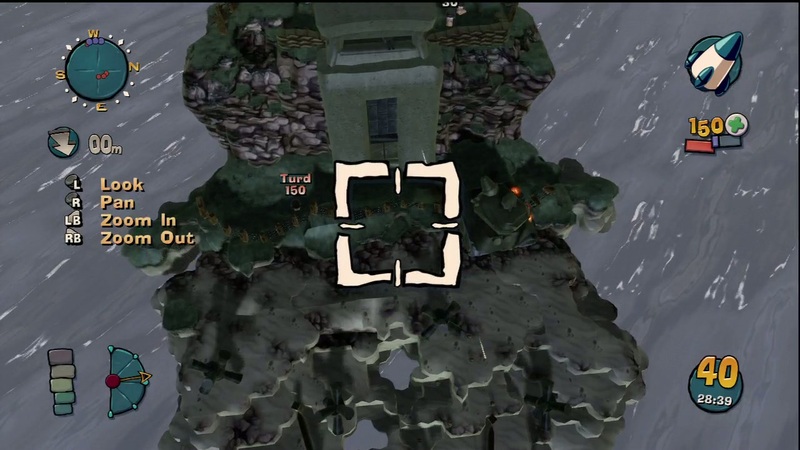 Each piece of the setting is composed of a multitude of destructible chunks. Initially things have a smooth, slick, cartoony look, with the chunks barely noticeable. Heave some explosive against the wall, though, and it will destroy a bunch of those chunks, leaving anything from a little divot to a massive crater. It also leaves some jagged, lumpy edges around the hole where the clumps of landscape that didn’t get destroyed remain. After a while the overall effect is like doing battle in a world made out of Lego. Sure, it isn’t realistic, but it lets you keep that precious “blast the heck out of the environment” aspect of the game, and it could certainly look worse. The characters, on the other hand, are spot on. Little pink blobs with massive eyes and even more massive mouths, the animation and expression that they achieve makes them easily a match for their animated 2D forebears. An attempt is even made to synch the lips to their comments, though if you ask me their body language is loads better than their lip synch. In order to help differentiate what would otherwise be two groups of identical pink blobs, you are able to throw on hats, gloves, and other accessories from a wide range. Any game that lets me slap a monocle and curly mustache on my player is okay in my book. When you animate said player doing a dragon punch, well, that’s even better. 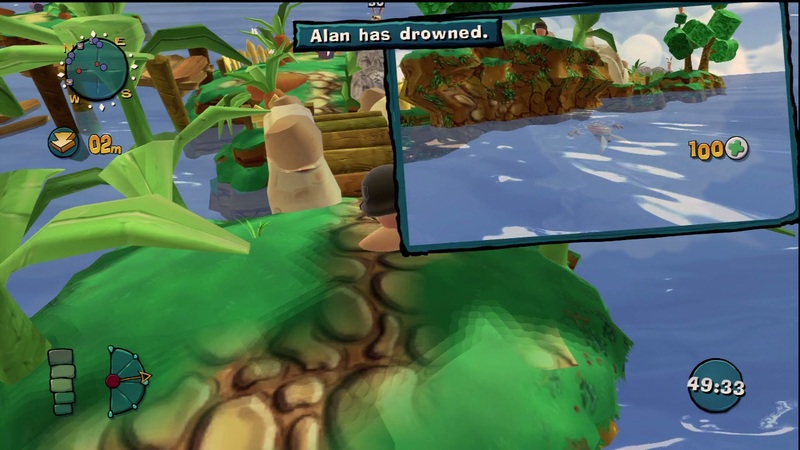 What we have here is a game with real personality. Very few people know that worms are natural blimp pilots. 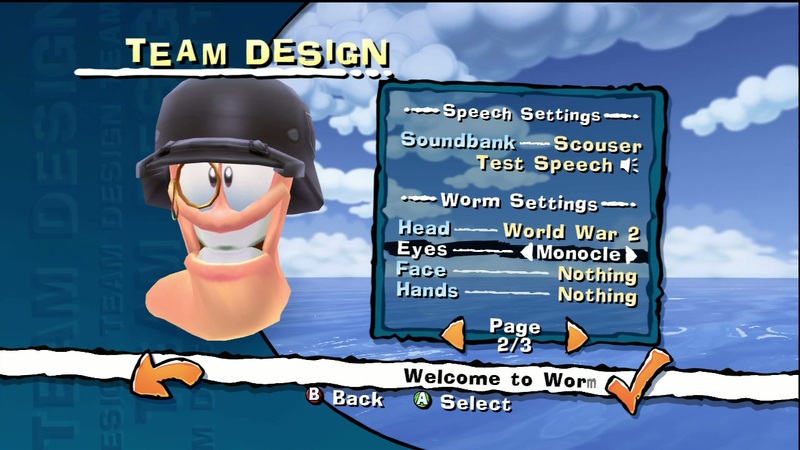 You really ought to be familiar with the gameplay of Worms, but if you aren’t, here’s a summary. 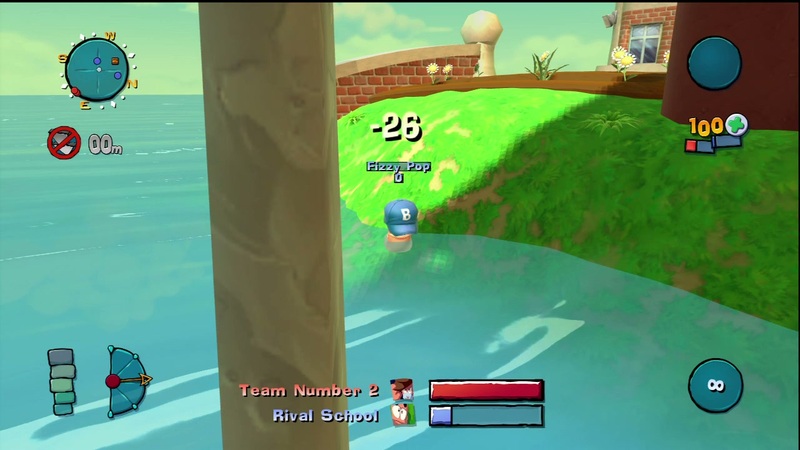 You control a team of worms, and you are facing off against similar team. One by one, Worms take turns attacking each other, usually with explosive weapons that follow ballistic trajectories influenced by the wind. 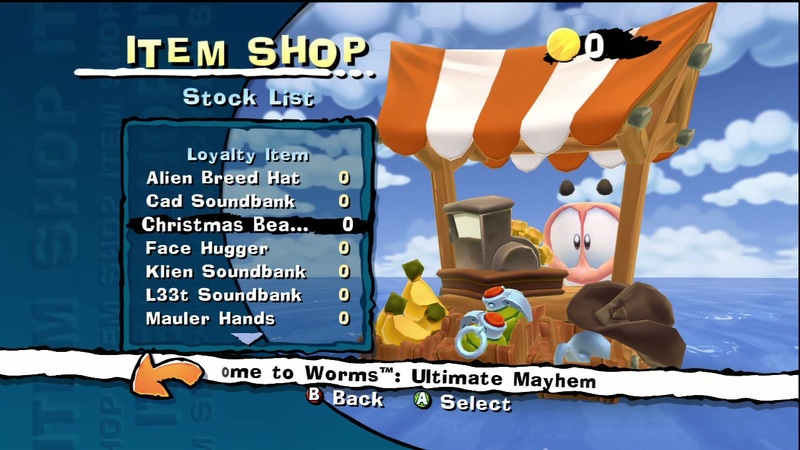 You kill worms by hitting them hard enough to drop their health down to zero or by knocking them off the level. 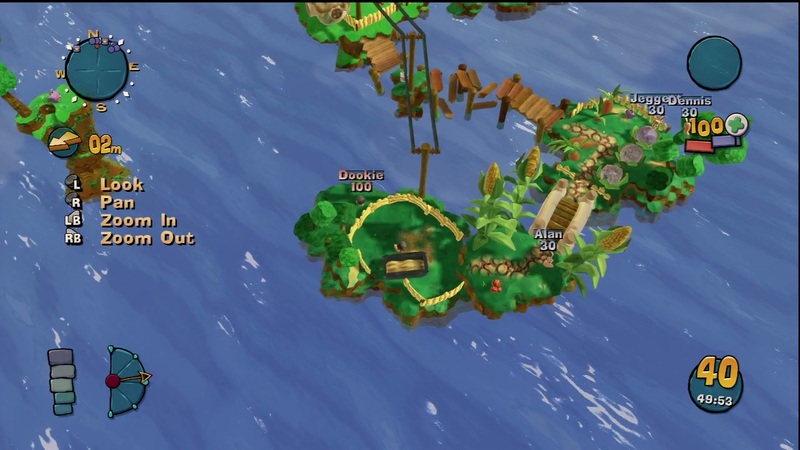 Each turn lets you move for a predetermined amount of time. 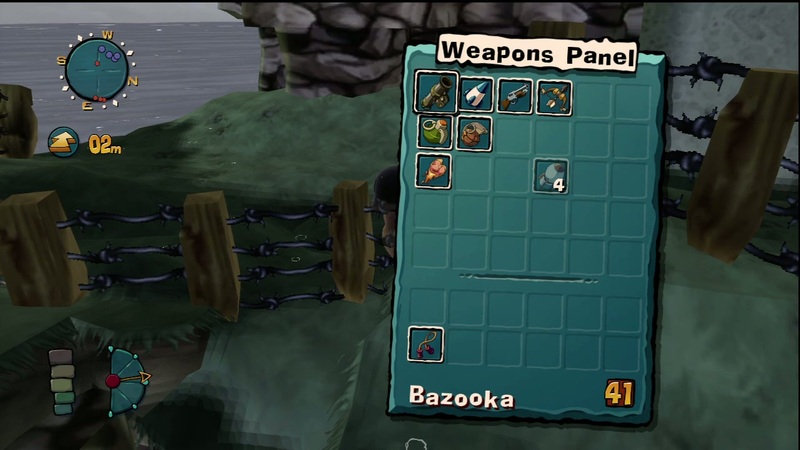 Aside from allowing you get into a better position for attack or defense, it lets you pick up boxes containing gadgets, ammo, or health. You win when every member of the opposing team is defeated. The weapons are too numerous to name, and are technically effectively infinite, when you take into consideration that you can actually design your own team weapon. Some weapons are free to use, others have a maximum number of shots. There are also devices to help you get around, including the ultra-handy jet pack. This should all sound quite familiar, so the real question is, how does it work in 3D? Well… it works well, with one or two severe caveats. 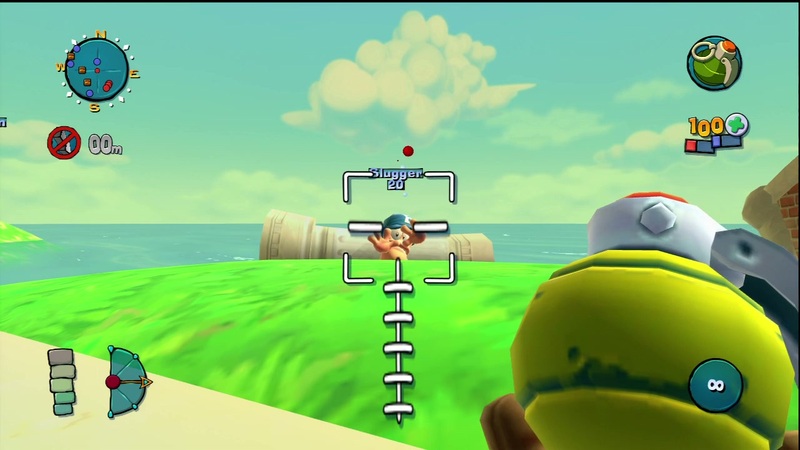 First, firing a weapon on an accurate trajectory and adjusting for wind is difficult enough in two dimensional. When you add a third, it becomes downright diabolical, at least for me. 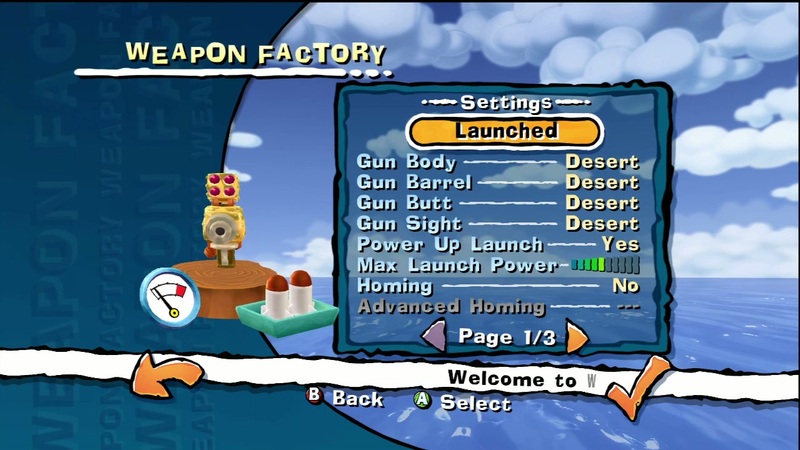 It took me forever to get used to the relationship between how long to hold down the launch button and how far a weapon would travel at various inclinations. This, I will freely admit, is almost certainly due to my own failings as a player. 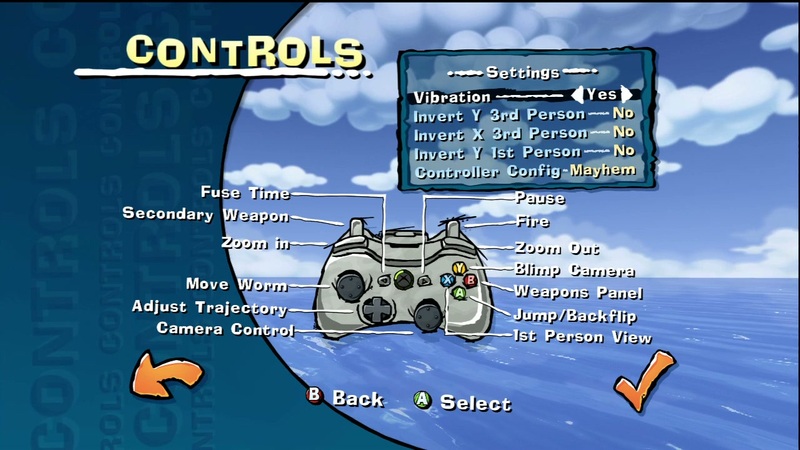 The game does everything it can to help you out, from providing a useful reticule shape, an intuitive strength gauge, and multiple camera views including “blimp” and first person. 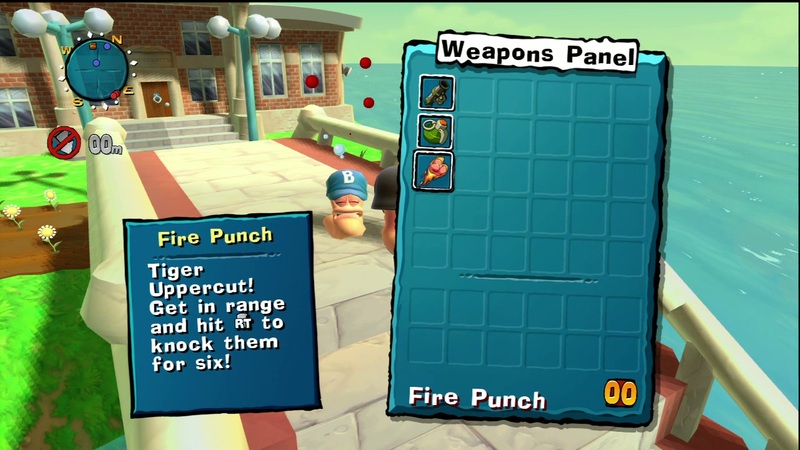 They also give you weapons that aren’t quite so nuanced in their application, including the up close and personal dragon punch and prod abilities. If you want to go in the other direction, you can increase the complication by setting a variable fuse on a grenade in hopes of detonation in midair… or at least once you’ve had a chance to get away. I was stuck back here for a while. The part that is less subjective is the quality of the platforming. I realize that this isn’t a platform game, but when you give me a character that can crawl and jump, and place things on tricky to reach platforms, you are flat out challenging me to reach them. I too often found that the platforming just didn’t do the job. I was constantly getting trapped in pits or lodged in the corner of a building, watching my remaining movement time tick down as the weird, floaty physics sent me off in an inexplicable direction or simply decided that I would be staying put until someone blew me to kingdom come. Once you play through the tutorial and get the hang of the weapons and physics, however, the game this is trying so hard to be begins to show through. The weapons are inventive and astoundingly varied, and the destructible environment makes for some truly entertaining tactics as you face off against the CPU or friends in a variety of modes. 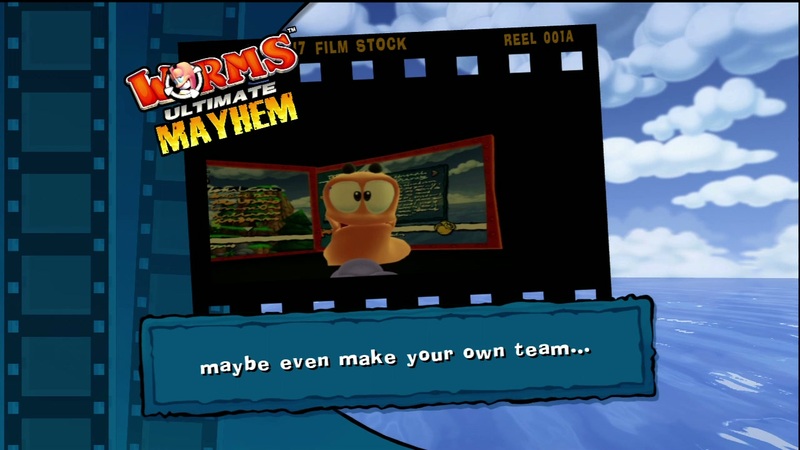 It also allowed me to craft a team of Scottish, Helmet-clad, monocle-wearing, mustachioed worms all named after different euphemisms for feces and calling themselves Team Number 2. I’d say that earns it a few points, wouldn’t you? Do you like chipmunk-style voices hollering clever one-liners in a variety of British dialects? Then you will love this game. Do you hate that sort of thing? … Why are you playing a Worms game, then? The campaign actually does make an attempt to assign a plot, however minor, to the various levels, but rather than focus on that, I’ll take this opportunity to congratulate the developers on keeping the humor that so many find to be the lynchpin of the series alive. 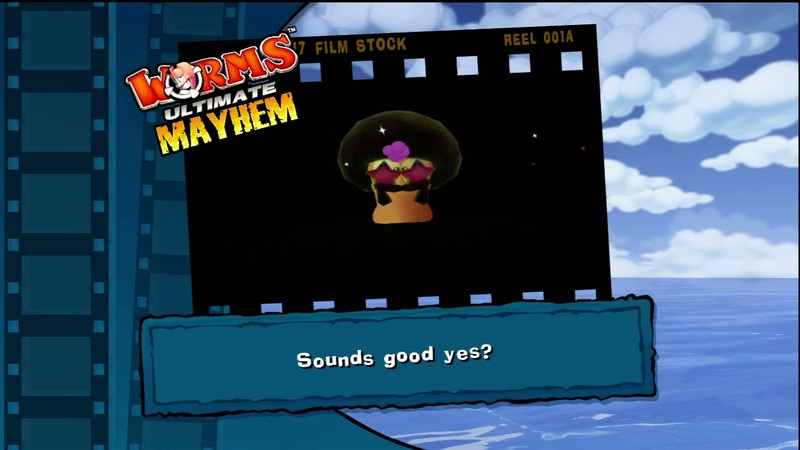 The tutorial video featuring the narrator’s torture of one of the worms, all by itself, manages to be more entertaining than some of the earnest attempts at humor made by other games out there. 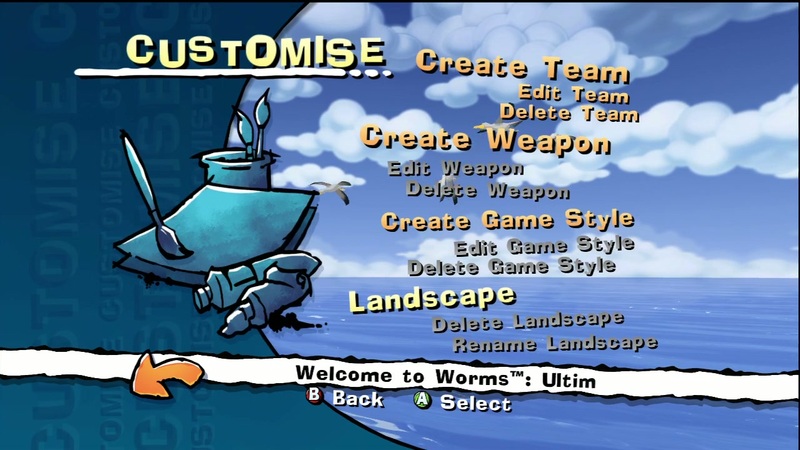 Worms Ultimate Mayhem is not without its problems, and when it comes right down to it, I prefer the 2D versions. 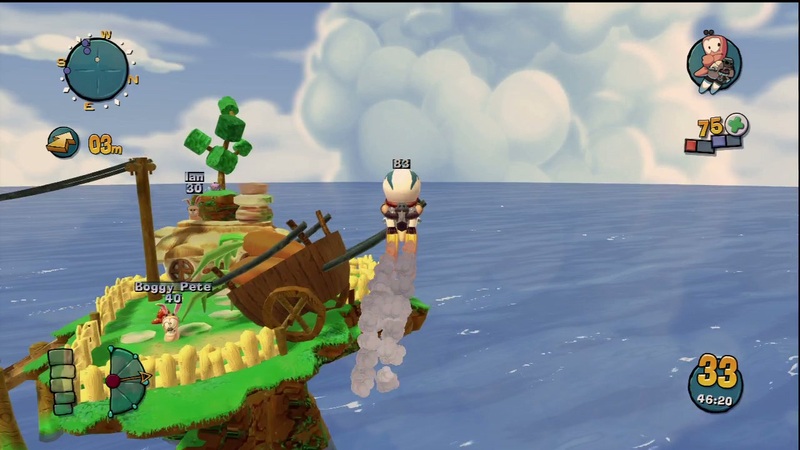 If you can get past the handful of platform snags and learn to master the physics, though, you’ll find an enjoyable, humorous game that matches the tone of the series. I would also like to thank the developers for going above and beyond to make this review possible. Problems with Steam codes and computer configurations caused major delays, but they worked with us to make sure we got a copy we could use. 7.0 / 10: Worms Ultimate Mayhem tries hard to capture the charming and addicting nature of the 2D Worms games, succeeding in some areas but stumbling in others.